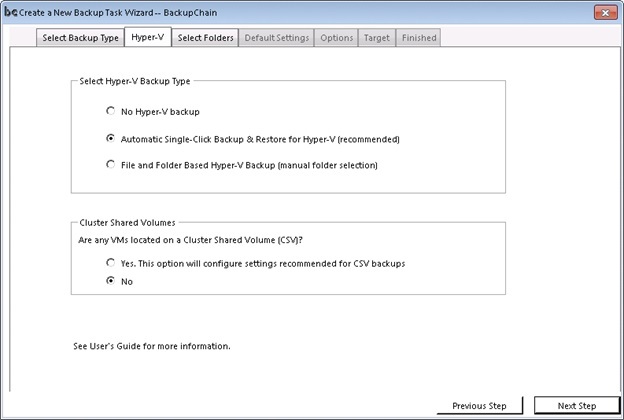 This “How-to” guide provides a short walkthrough of all the steps required to set up a successful Hyper-V backup. 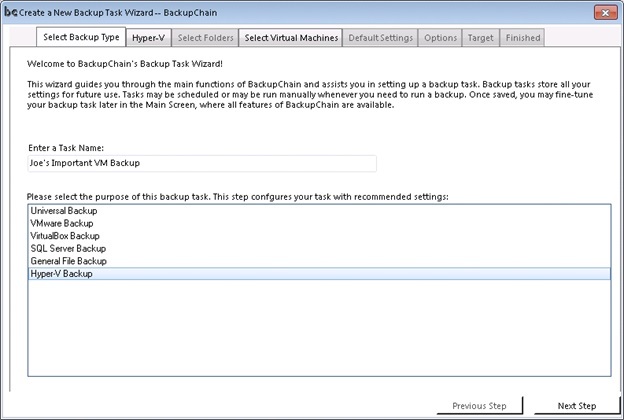 In order to create a VHDX backup, you need to first download and install the 64-bit version of BackupChain, which also installs on Hyper-V and Windows Core Servers via the command line, see notes on download page. While there are plenty of options to fine-tune your backups, we’ll only go through the steps absolute necessary to complete a successful disaster recovery in this article. Now we select the VMs from the list. Note that on CSVs you’ll only see the ones hosted on the local node. Note that with all types of targets BackupChain uses file-level deduplication to reduce backup space and processing time, even when using FTP.